Westporters have long migrated to California — and vice versa. Nearly everyone here has close ties to at least one person in the Golden State. It’s no surprise many area residents have been impacted by Southern California’s devastating wildfires. Here’s one story. Becca Fuchs is a 1995 Staples High School graduate. She lives in Ojai, and evacuated just before the Thomas Fire swept through. She had no warning, beyond a glow in the distance. But the fire quickly lit up the entire sky. Within half an hour, it threw cinders on her roof. 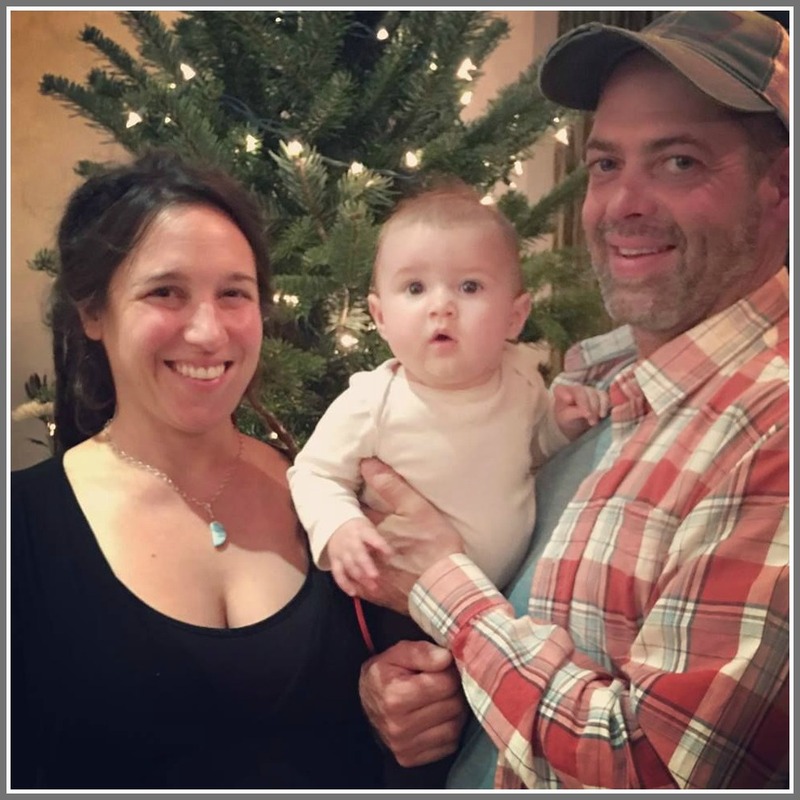 Becca and her partner Don Lee grabbed their 18-month-old daughter Birdie, their cats, and drove south. The fire soon took everything they owned. Becca Fuchs, Birdie and Don Lee. Becca, Don and Birdie are safe. But they now face the daunting task of rebuilding their lives. Becca’s brother Justin and his wife have set up a GoFundMe page. The most immediate need is money. Amazon and Target gift cards are also great ways for them to buy supplies they need. This entry was posted in People, Staples HS and tagged Rebecca Fuchs, Thomas Fire. Bookmark the permalink. 200,000+ evacuated as these fires rage on. Instead, the media focuses on politics. When will environmental issues take first place in editorials? Nancy, enough w/the comments; send this family some $$$ and maybe think about fixing everything wrong w/ your community. These increasingly deadly weather events are not unique to you. Dismissive? Just the opposite, Tyler. Have you experienced wildfires? By the way Tyler, take a trip to Greenland and understand how recent glacial earthquakes have destroyed villages. Glaciers are indeed melting, but maybe you are not aware. Like it or not, Nancy is 100% right on these comments. It’s as if America is fiddling while California is burning. The New York Times is the only one of the mass media which almost every day includes some report, article or feature re climate change and global warming, from my observation. It’s happening and it’s scary…. and no one “in charge” seems to care. Oh, well. Both Bonnie and Nancy are right. We need to be serious about climate change.